XanTec bioanalytics GmbH is an experienced team of biosensor, bio-chip and surface specialists. Our expertise in surface chemistry, biology, organic synthesis and physics enables us to provide integrated bioanalytical solutions to researchers and laboratories worldwide. 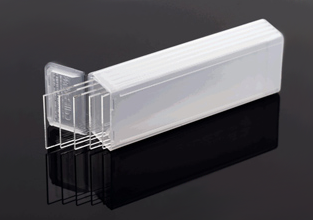 Use these quick links to obtain more information about our main product groups. 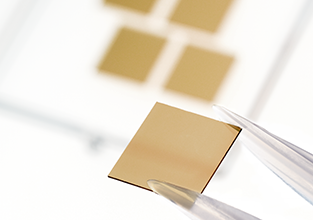 XanTec provides affordable SPR sensor chips for allmost every SPR plattform (e. g. Biacore®, Reichert, IBIS etc.). Get an overview of the worlwide broadest portfolio of different sensor chips for your special application. 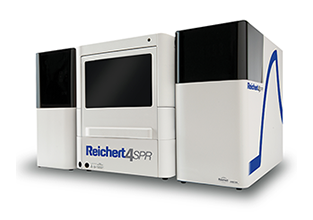 Surface Plasmon Resonance (SPR) technology has become the Gold Standard in biomolecular interaction analysis. We offer industry-leading quality SPR systems at a competitive price. XanTec's Hydrogel coated DNA and protein microarray slides provide the highest accuracy and sensitivity by combining the highest immobilisation capacity with the lowest background and intra- and slide-to-slide deviation. In addition to our surfaces and SPR sensors we offer a broad spectrum of kits, buffers and reagents of highest purity and controlled quality to guarantee best results within your application. Fragment-based drug discovery (FBDD) has become a preferred alternative to high-throughput screening (HTS) to improve the discovery of small-molecule drug candidates. Screening of low-molecular-weight fragments can identify hit compounds with better efficiency and physiological profiles than HTS2. SPR biosensor technology is one of the primary biophysical methods to screen fragment libraries3 as newer instruments achieve sufficiently high signal-to-noise ratios to generate reliable data despite the low molecular weight and low affinity of many analytes. In previous approaches to establish FBDD assays using SPR, the ligand was covalently immobilized on the sensor surface with high immobilization levels to ensure that the protein bound stably to the sensor chip surface. Alternatively, biotinylated proteins were immobilized on streptavidin coated sensor surfaces with the inherent drawback that the analyte could non-specifically interact with the streptavidin. Both immobilization methods lack the possibility to remove the bound ligand from the sensor surface which is critical, for example, when working with GPCRs or other sensitive proteins which often denature over long screening campaigns. 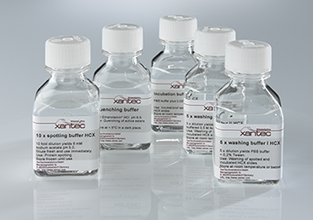 XanTec bioanalytics is dedicated to the development of affordable, customer-orientated innovations in the field of bioanalysis. We occupy a leading position in surface technology and biocoatings which will further be strengthened in the coming years.